In 2016, the McMillan Family Foundation, Inc. in partnership with the Indiana District 1 Firefighter Training Council established the Multi Agency Academic Cooperative (MAAC) Foundation in order to better serve all public safety professionals. 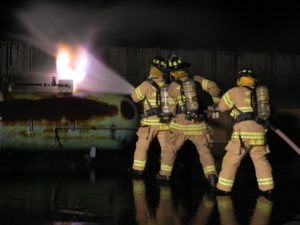 The MAAC Foundation has been charged with developing training opportunities for firefighters, police officers, and EMS. This is being achieved through the offerings of combined classroom and practical application programs that provide advanced levels of critical thinking and functioning in preparedness and response. Moreover, MAAC is dedicated to supporting and meeting the needs of existing Indiana District 1 training sites.